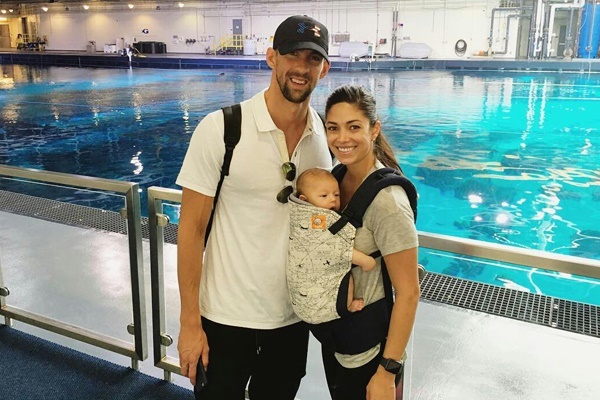 Michael Phelps: "Work-life balance affects dads too"
Society is slowly coming around to the fact that moms are not the only ones who are affected by the work-life balance. Here’s a refreshing shift: A reference in an article to work-parenting balance that focusses on the dad rather than the mom. Dads and their experience of parenting are mentioned all too infrequently in the media. Sure, I’ve read the articles that try to be all politically correct and substitute all the references to “mom” with “parent”. There are even those that focus entirely on the dad experience. But it’s rare to see an author actually raise the issue of balance when it wasn’t the primary focus of the article, and to do it with a male subject to boot. We’ve come a long way since the 1950s. Women work outside the home. The majority no longer have to rely on their partners to provide for the household. So it would seem reasonable to assume that both moms and dads would find it challenging to manage both work and family life and therefore be equally suitable subjects for articles about life balance. Why, then, do we not see more articles like this? I’m willing to bet that there are plenty of dads out there who would value more acknowledgement of their struggle, because they also grapple with the knowledge that going out to work will cause them to miss out at times on key experiences with their children. That they don’t just close the door in the morning as they leave for work and leave it all behind mentally. Surely there are scores of dads who are just as involved in their kids’ lives as the moms. They share the lifting to and from school, they give up their weekends to attend sports events, and they spend evenings helping with homework. They share the parenting experience. We still seem to be leaning towards the more conservative view, though: that moms wrestle more with the idea of going back to work or staying at home after the baby comes along, that they alone are finding it difficult to juggle both work and childcare, and are the only ones struggling with feelings of guilt when they leave for work. Wouldn’t it be great if that passing acknowledgement in the Times article to a dad’s struggle to balance it all would become the norm? If it were to become a regular occurrence for television ads about work-life stress to feature dads as well as moms? If, just sometimes, dads would be asked how they juggle the demands of caring for family and having a job? Maybe, the next time one of your friends got pregnant, you could ask both prospective parents, rather than just the mom-to-be, whether they’ll be going back to work after the baby comes along and offer advice to both of them about how to manage it all. How involved are your partners with the kids? Send your thoughts to chatback@parent24.com.